Mike Rogers of MOR would like to invite all GJOs to take part in the North Area Inter-Club Junior Challenge 2016. The competition is deliberately kept simple and is aimed at juniors who run Light Green and below – White runners completing their course have been known to sway the final results, so everybody’s result really does help. 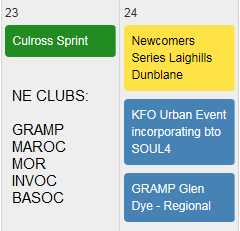 It would be great to see all 5 north clubs fielding teams to make it into a truly competitive event (and also a chance to get to know their local peers and team-mates for when North compete against the other Scottish regions.) Somebody from Gramp’s GJO Team may well be about to send an email round to you all but thought I’d better give you the heads up asap. This year’s North Clubs Junior Challenge will be at the excellent Keppernach on 6th Nov incorporated into INVOC’s Level C event so there will be chances for parents/chauffeurs to compete too.